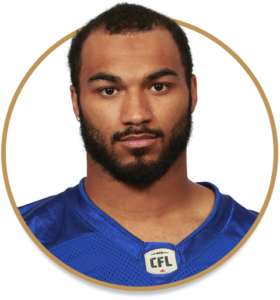 First signed by the Bombers on May 25th, 2018, Nelson retired a week later on June 2nd, only to be added to the practice roster in mid-September. He spent the next five games on the PR, before being activated and making his first Canadian Football League start in the regular-season finale in Edmonton. Nelson showed flashes of his versatility in that game, catching three passes for 35 yards, returning five kickoffs and four punts for 130 combined yards while adding three tackles on special teams. Nelson played four seasons for the Oregon Ducks, catching 124 passes for 1,555 yards and 14 touchdowns. Nelson also had 2,424 kick return yards and two kick return touchdowns during his time at Oregon. In 2014, Nelson received the Gordon E. Wilson Award for being Oregon’s top special teams standout and was given 1st-Team Pac-12 All-Conference honours in 2015.